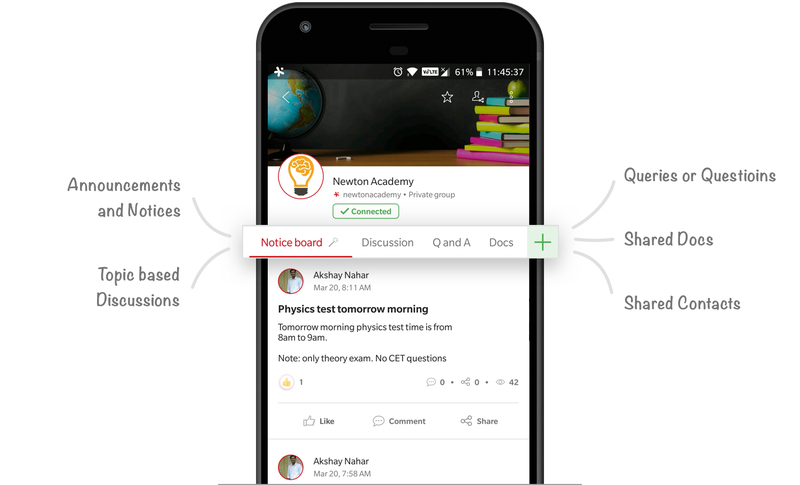 InTouchApp groups allow separate thread for each topic of discussion, making it easy to follow. No more dumping everything under a single thread of chat! 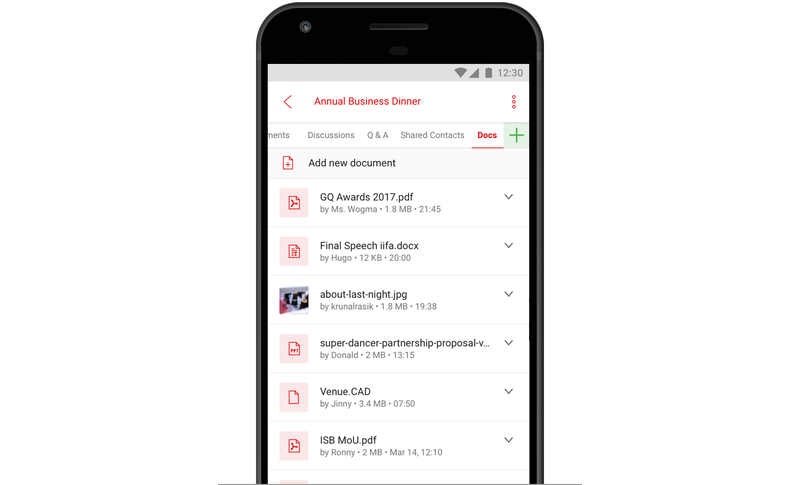 One place to keep documents and make them available to all members. Members can easily add contacts and together build & manage a shared directory. These contacts are also available in search, making them easily accessible. Groups allow role based access and controls. Moderation allows better control of group members. Privacy settings enables admins to control the visibility of the group’s content. 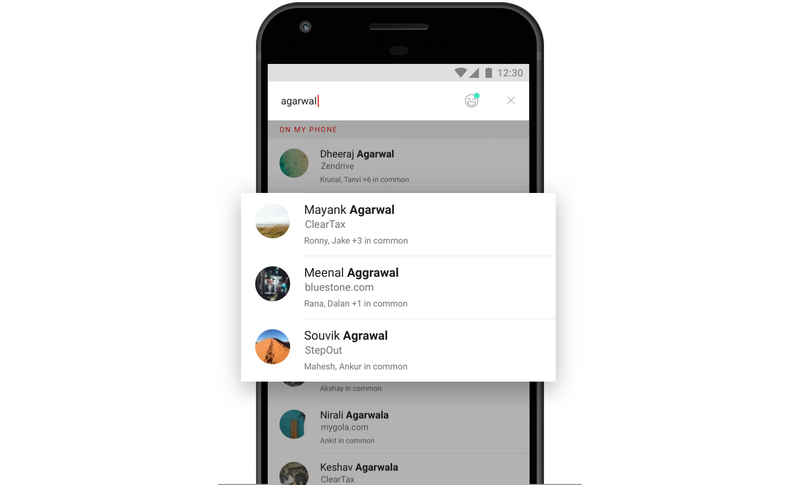 Create a group, add your contacts as members and customize! You may choose from our ready made cards such as Notices, Discussions, Q & A, Documents, Contact list, Blog and many more. Groups allow unlimited members. 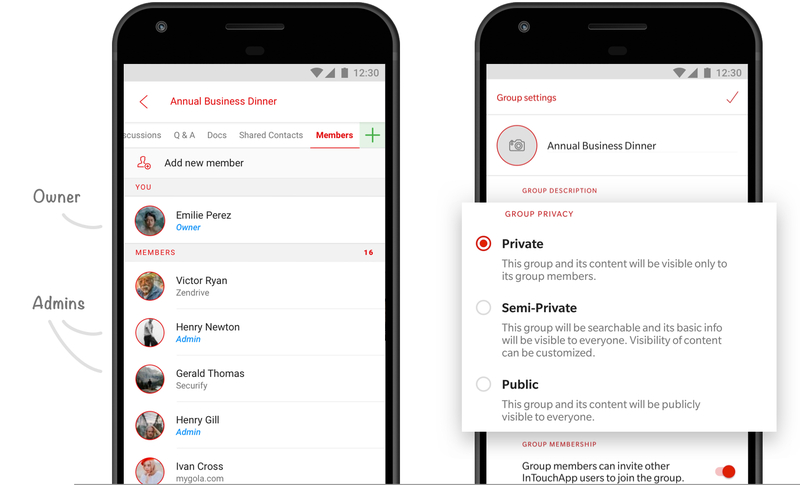 Unlike chat apps, phone numbers of these members are private and not shared with each other. No more "💭 I think I know her?"! 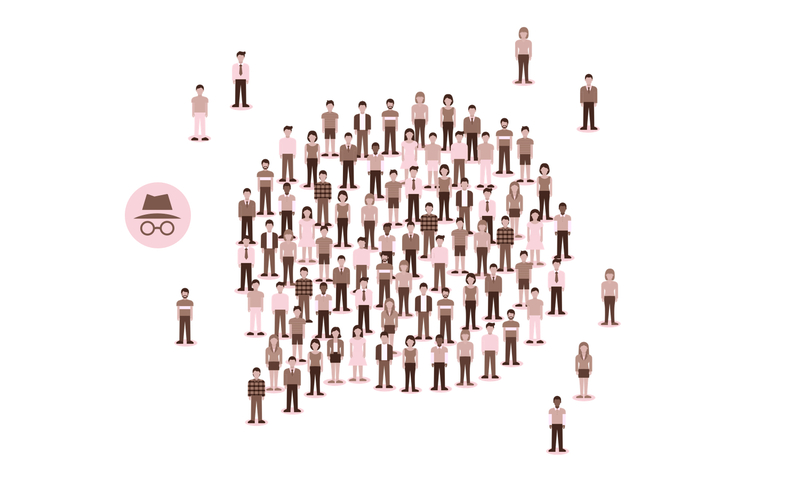 We meet and interact with hundreds of people over time. These in-person meetings have so much value, but it is tough to remember every one of them! 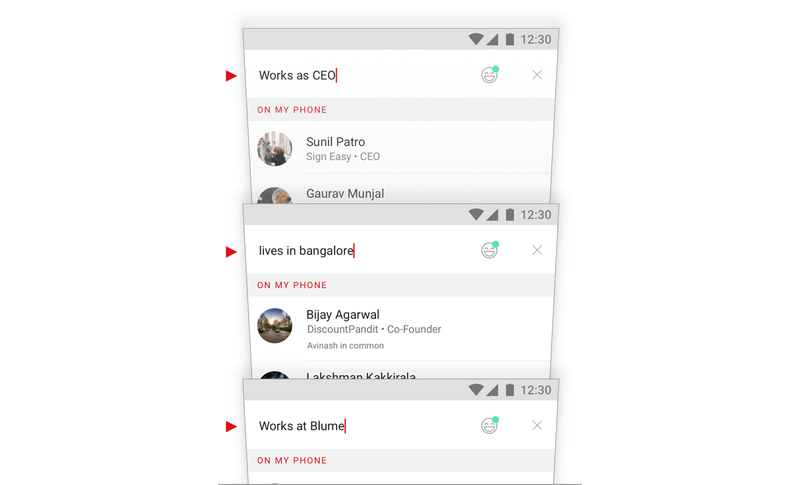 Add context to contacts to remember them beyond their names. Search them the way you remember them! Classify your contacts using emojis! Search for all the people you met during TiECon in the US in one go! 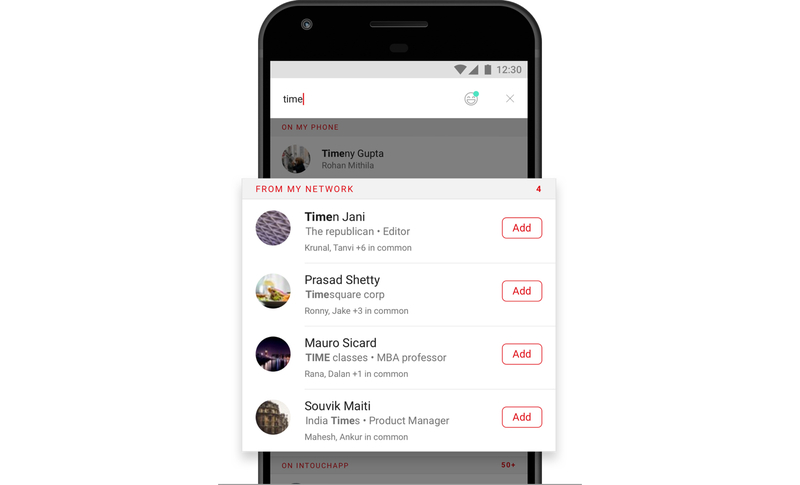 Connect with your friends, family, and co-workers on InTouchApp and get access to their contacts network - privately and securely based on your sharing settings! 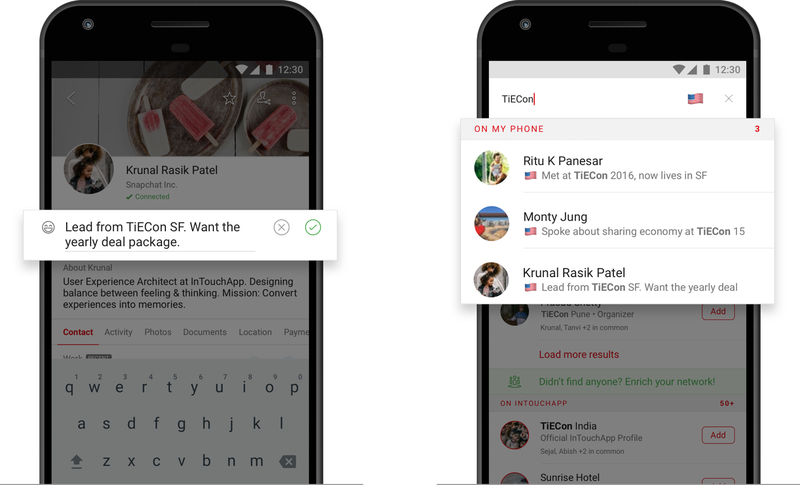 Next time you are looking for someone, search on InTouchApp to see if your friend knows the person - get the right connect! Want to call back someone who tried to reach you? Call the driver at 7am tomorrow? Call a customer at 11am sharp? 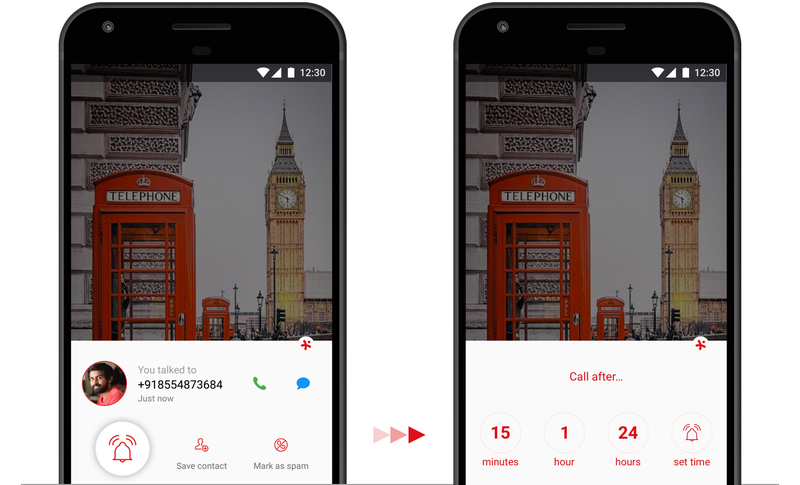 With call reminders, never miss calling someone at the right time! Not sure about how you saved that name? “Sophia” or “Sofia”? “Mike” or “Myke”? No matter how you saved it, InTouchApp will find it for you! InTouchApp doesn’t only backup your contacts safely and securely, it backs up the backups as well! 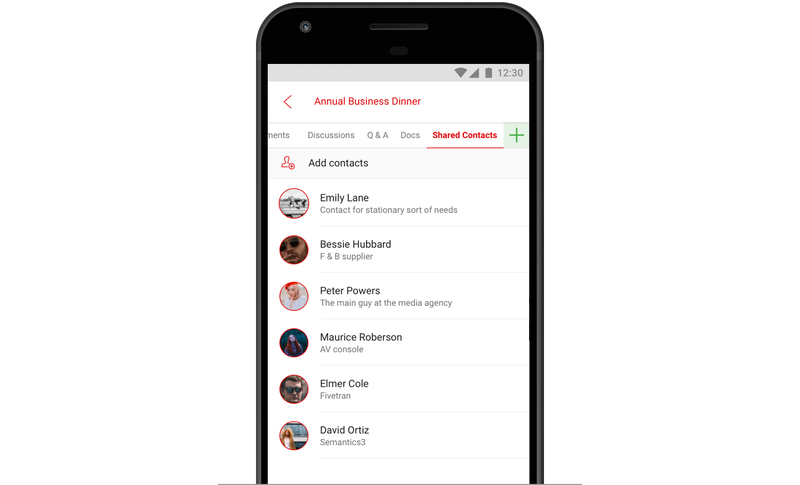 With full change history preserved for each of your contacts, kiss goodbye to the thought of ever losing your important contacts! 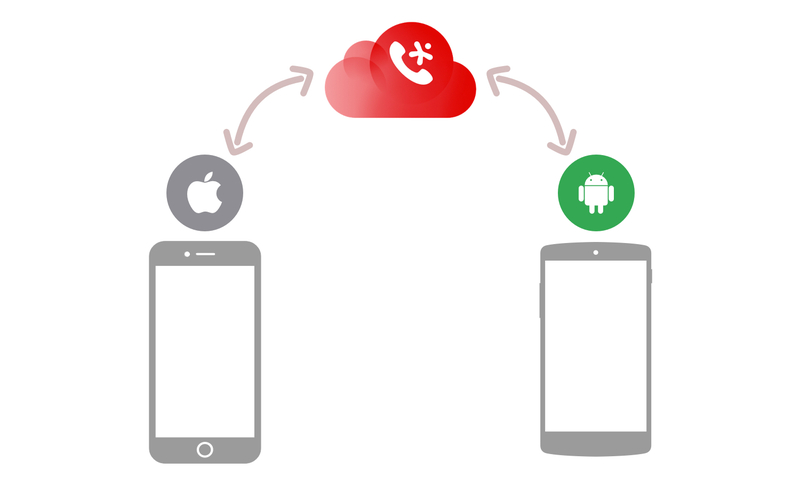 You may be using multiple phones or moving between incompatible phones such as iPhone and Samsung or LG and Sony - InTouchApp ensures you get the same contact book no matter which phone you use! Endorsements from our happy users. I consolidated my contacts on both my devices that use different platforms! Great app! Easy to use! Good app, Finally a contact sync that actually works !! This app is unreal, used it to switch back to my iPhone while my Q is being repaired! Legendary APP!!!!!! Fantastic! Great app, very convenient and saves you the stress related to moving your contacts. 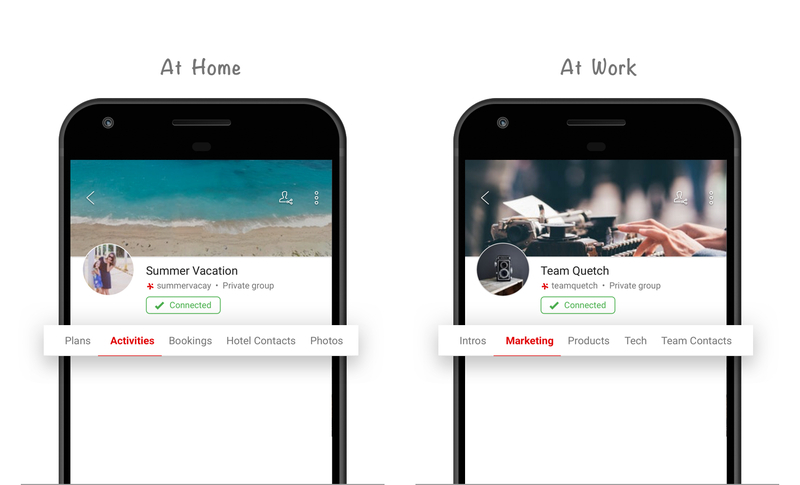 InTouchApp is a mobile&hyphen;first collaboration platform built on top of phone contacts. By using InTouchApp, individuals and groups &hyphen; both large and small &hyphen; become more productive via structured communication and information sharing.